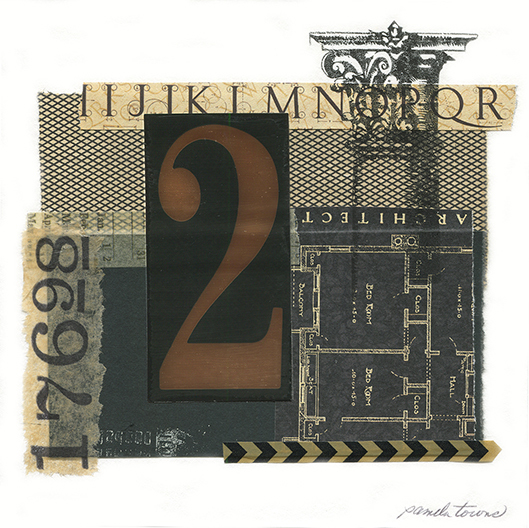 Collage made with a mix of vintage and printed papers, ink and found number. 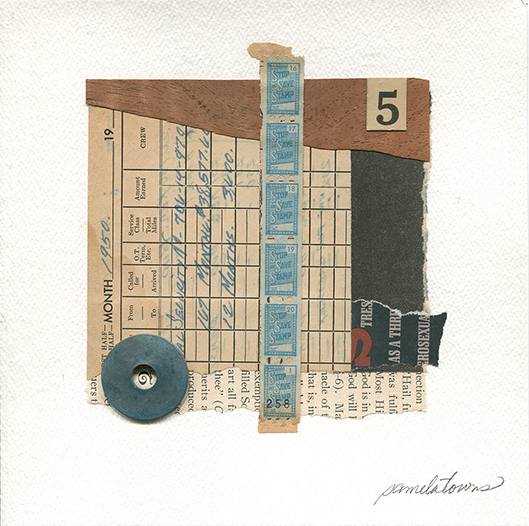 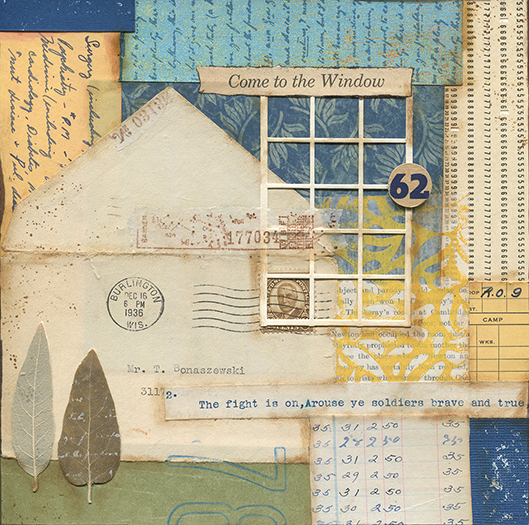 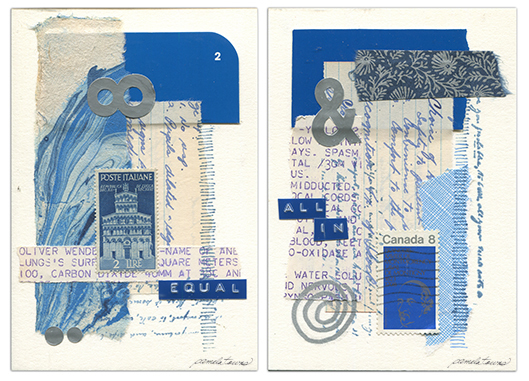 Two mixed-media collages in blue with vintage and found papers, stamps and labels. 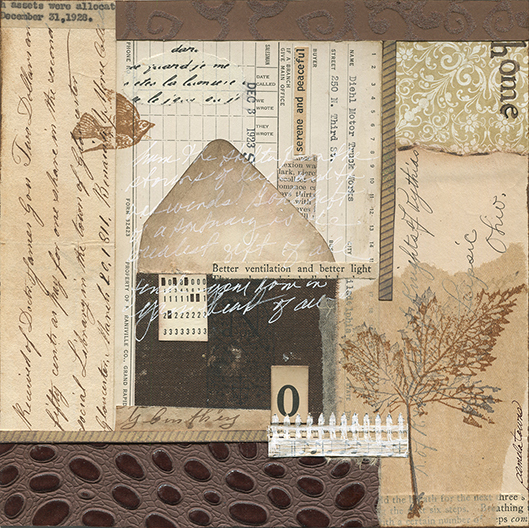 “Gaining Perspective” is a mixed-media collage on paper with old found papers, gelli printed papers and new decorative papers with pressed leaves and ink. 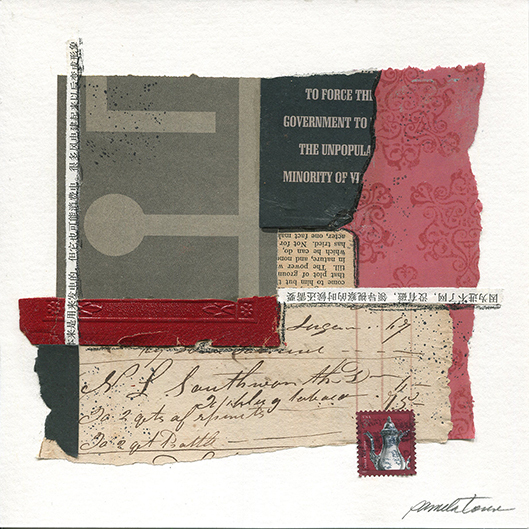 Mixed-media collage from found and new papers and ink. 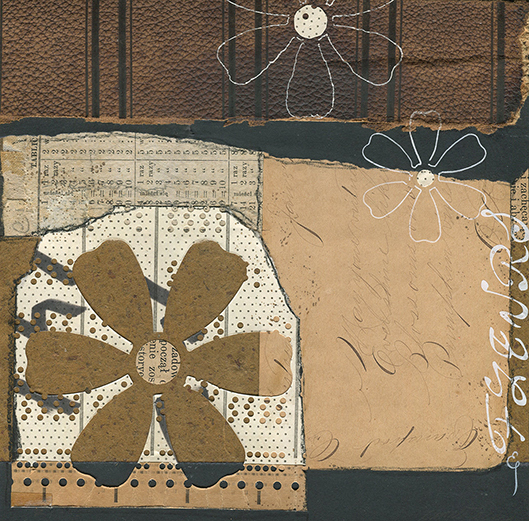 “Minority Rule” mixed-media collage on paper with vintage papers and book parts. 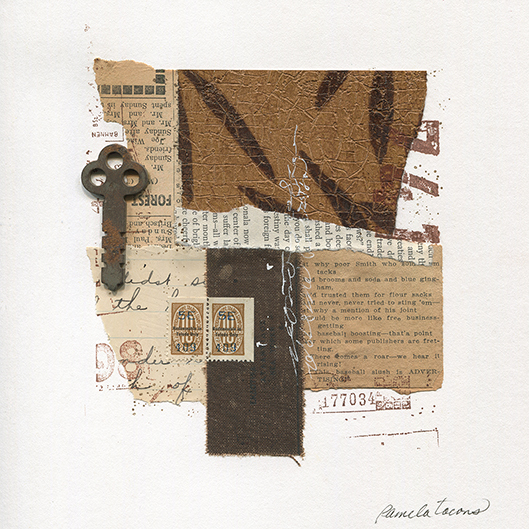 Mixed-media collage on paper with old papers, torn canvas and found rusty metal. 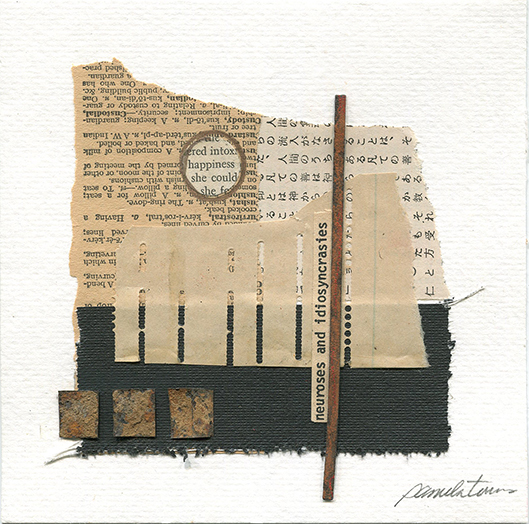 Mixed-media collage with wood veneer, old papers and found metal object. 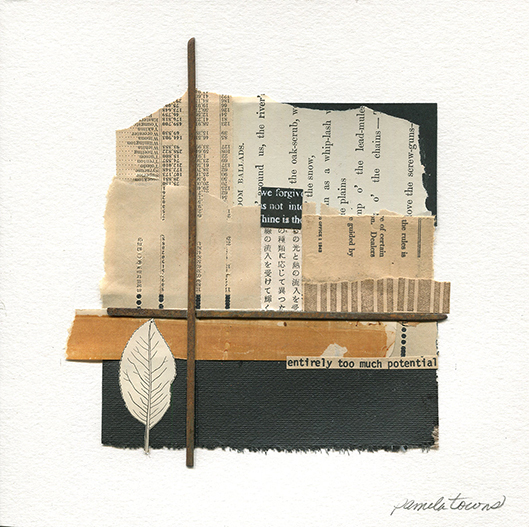 Mixed-media collage with old papers, canvas and found metal objects on paper.